Slots, slot machines, slots games or one armed bandits are the most popular casino game that has ever been invented. Everyday, millions of players enjoy the game, both online and offline, in land-based casinos. When they were first introduced to the public there were only a few different games to choose from, but today there are thousands. So where did it all begin, and how did we find ourselves with such a mammoth range of games to choose from? There are two contenders for the title of slots inventor. One is a company called Sittman and Pitt, who were based in New York. In 1891, they developed what is considered by many to be the first slot machine. It cost a nickel to play and the machine used 5 drums with a total of 50 playing cards. After inserting their money, players would pull a lever. Winners were those who achieved a poker hand on the reels. The other contender is an American named Charles Augustus Fey. The exact date that he created his slots machine is not known, but it’s thought to have happened between 1887 and 1895. Feys machine was a little different because it allowed for automatic payouts. Instead of 5 drums, there were 3 reels and the playing cards were replaced with 5 different symbols. These were hearts, spades, diamonds, horseshoes and a liberty bell. This bell is how the machine came by its popular name, The Liberty Bell. It was a very popular machine but Fey made a grave mistake in not applying for a patent. Hence, a number of other manufacturers copied his design. Slot machines were officially banned in 1902. But they were so popular that manufacturers continued to make them, with a slight difference that made them legal. Instead of cash prizes being given, the machines paid out in chewing gum and sweets. The symbols were also changed to fruit, with the prizes corresponding in flavour to the winning line. The fruit games proved to be very popular and within a few years they could be found in bowling alleys, shops, salons and tobacconists. The early fruit games and slot machines were mechanical. A lever had to be pulled to start the game and an internal spring is what caused the reels to stop spinning. They were extremely popular because players felt they were more in control of the game and its outcome. This lever also led to the games being called the one arm bandit. Advances in technology led to electrically operated machines taking over from the one arm bandit. Around about 1964 Money Honey was the first of these games to be released. A lever still had to be pulled but the operation of the reels was electrical. Another development was the bottomless hopper that allowed for payouts of up to 500 coins. 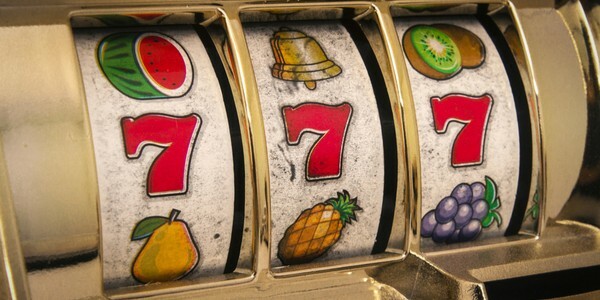 Fortune Coin, a company in Las Vegas, developed the first true video slot in 1976. A modified TV was used for the display and the game could be played in the Las Vegas Hilton Hotel. The Nevada State Gaming Commission gave the video slot its approval and the games became hugely popular in Las Vegas. The next big milestone was the addition of a bonus round to the game. Slots weren’t the first games to be offered online, but it didn’t take long before they were added to the menu. It also didn’t take long for them to become the most popular online casino game. To start with the games were very traditional, using the same number of reels and the same symbols. Computer software allowed developers of the games to introduce an almost endless variety in the themes, symbols, layouts and structures. And they don’t seem to be slowly down with the innovative and exciting ideas. Figures currently indicate that there are more than 2000 different online slots games to play, across all the online casinos. Quite a phenomenal choice that has come from a very simple mechanical game machine.